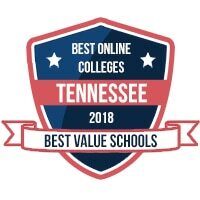 In order to provide prospective students with the best chance at having a great education, we have compiled this list of the top universities and colleges in Tennessee. Some schools may excel at online programs while others may focus exclusively on the traditional, on-campus aspect of higher education. Regardless of the delivery format, these schools excel at providing a quality education for their students. Online colleges in Tennessee have created opportunities for thousands of individuals who have other commitments, yet still, have the desire to earn a degree. In 2008, the Tennessee State Board of Education created a distance learning policy for all higher education to uphold a high-quality online learning option for students. With a tuition increase nationwide, online learning remains an affordable and flexible option. Tennessee has proven to be a leader in the online learning community in the southern region. Most schools in Tennessee utilize the same on-campus faculty for online teaching as well. This provides online learners with the same curriculum and learning experience as on-campus students. Many resources have been created for online learners, giving students the tools to enhance their educational experience and earn a degree on their own time. Tennessee has an average graduation rate of 47.8% across 190 colleges and universities. Whether you are in or out of state, an online program through one of Tennessee’s universities can provide you with uncapped opportunities in the work field. Austin Peay State University has created an excellent distance learning portal for students. Programs offer minors as an opportunity for students to gain the expertise and get the most out of their learning experience. Within the learning platform, tutorials are easily accessible to help students navigate among the platform to access courses, assignments, and more. Students can choose from a variety of bachelor’s degrees in business administration, information systems, and professional studies. Tennessee Technological University provides completely online degrees that are affordable, flexible, and convenient for working adults. Students can choose dual programs to create a customized learning experience that interests them. Programs include information systems, organizational leadership, health administration and more. Additional benefits include placement services and counseling services. The University of Memphis’ online curriculum is designed by its professors including courses programs such as real estate, sports management, and political science. Students engage with peers and professors through an online learning program. Many university-sponsored scholarships are made available to online students to help with the cost of tuition. With 19 bachelor’s degree programs to choose from, students can self-pace and complete their degree on their own time. Library and technology assistant tools are available to students 24/7, which includes access to academic advisors and online chat. East Tennessee State University offers online degrees in professional and medical fields. Courses delivered through the learning platform can be either asynchronous or synchronous with hybrid options included. Scholarships are available for transfer, nontraditional, and out of state students. ETSU provides the quality and flexibility students need in earning a degree. Williamson Christian College’s growing developments and strong community attract students to its programs. WCC inspires students to look beyond the classroom and apply what they have learned in the work field. Williamson Christian College promotes higher quality learning and delivers that through its programs. American Baptist College is a private historically black college where students can pursue a Christian education. ABC seeks to nurture leaders of change for the future. Programs help students become a moral leader and critical thinker. The University embodies justice and equal opportunities and has provided countless resources to help students succeed in the programs they choose. Johnson University offers five different programs to choose from completely online. Topics include non-profit administration, business administration, intercultural studies, ministry leadership, and intercultural studies. Approximately 24% of Johnson’s student population are online learners, which continues to grow each term. Johnson University has been a leader in distance learning, providing flexibility and a variety of learning options. Christian values are integrated into the curriculum, providing faith-based learning to each student. Through Lee University’s adult and online learning program, students can pursue the education they want without falling behind on other commitments. Online courses are 7 weeks long that is comprised of lectures, discussions, and interactive assignments. Lee University’s goal is to help its students gain a global perspective, serve the community, and to use values and knowledge taught beyond the classroom setting. Those looking to earn a degree in ministry studies are offered reduced tuition for an undergraduate or graduate program. Hiwassee College provides small online classes allowing more student-professor time to understand and succeed within programs. Programs that are offered include business, biology, criminal justice, and more. Hiwassee is a more affordable option that provides the same high-quality education as other universities. The learning center provides 24/7 access to resources needed for classes, studying, or projects. Bethel University encourages students who have little or no college experience to enroll in its college start programs that provide students with the help needed to complete a bachelor’s degree. A total of 128 credit hours must be completed to earn a degree. Bethel partners with many surrounding colleges and universities making credits transferable to help assist completion of a degree. Bethel has over 20 programs across all academic levels available online, and with open enrollment, students can begin classes at any time. Through its extensive online learning, Welch College provides students with a promising education. Online semesters are shorter, allowing students to earn their degree faster. Welch college is religiously affiliated, which includes some courses to contain biblical studies. Welch College is passionate about its faith studies and invites all students who share the same beliefs. Welch offers 4 programs to explore, as well as financial aid assistance. Southern Adventist University was established in 1892 with several different locations and name changes throughout history. SAU is a religious school and their goal is to give students an experience of academic excellence as well as teach them Christ-like behavior and a life-long search for truth. The University of Tennessee-Martin is a four-year, public college. UTM is intent on giving students the best opportunities and experience by offering over 100 programs, including distant learning programs. For the convinience of students busy schedules, UT Martin offers online programs for both undergraduate and graduate degrees. Cumberland University provides online academic counselors to each individual student to help guide the process of completing a degree. Both part-time and full-time enrollment is available to students with classes taught by experts in related fields. Online tutoring is provided to students so that students do not fall behind, especially online. With competitive tuition rates, Cumberland provides payment plans as well as assistance with financial costs. South College holds its online students to the same high standards as its on-campus students. Course materials are a blend of written, media, audio clips and more to enhance the learning experience. South College offers certificates, associate’s, bachelor’s, and master’s degree programs. Online learning is driven by student learning outcomes and constantly adjusted to meet student needs effectively. South College is driven by its student success and manages all forms of learning to enable that success. Lincoln Memorial University has four quality education programs that can be completed digitally. These programs include RN-BSN, Master of Business Administration, Doctor of Nursing Practice, and Doctor of Medical Science. LMU understands that students may need extra support and help along the way. Tutoring and other academic support tools are advertised and made available to students both online and in person. Tennessee State University offers eighteen online programs at an affordable cost. Nursing, teaching, and leadership are notable programs among the university. Professional licensure programs are available as well to complete online. Classes are taught through video lectures, hybrid courses, and interactive assignments. Out of state students can receive reduced tuition rates for full-time enrollment in an online program. At Fisk University online education is provided through excellent programs that both challenge and reward students. Distance education is a large market to students, providing accessible and affordable education to all. Fisk University has expanded its online portal, with consistent objectives to help reach student’s educational goals. Fisk focuses on individual development and building leaders for the work field. Tusculum College offers associate’s, bachelor’s and master’s degrees to complete fully online. With reasonable tuition and flexible scheduling, Tusculum provides quality and convenient education to each online student. Dual enrollment is also an option, with many courses to choose from to accelerate completing a degree. Approximately half of Tusculum College’s online students do not live in Tennessee and have chosen to pursue an education through TC for its rewarding academics. 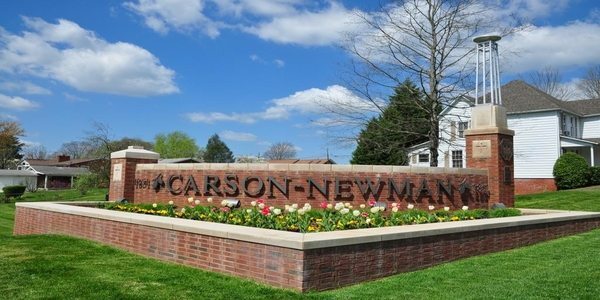 At Carson Newman University, students come first. Online bachelor’s and master’s degrees are available to students to complete to further their education. Students must have at least a 2.0 GPA to be admitted to specific programs. Programs include business administration, interdisciplinary studies, and organizational leadership. Depending on transfer credits and enrollment status, programs can be completed within a year. King University provides a diverse online course selection to its students. All students begin their education with core classes to help students gain study habits and basic knowledge to further their degree. Each program requires 124 credit hours, with additional passing score requirements upon completion of the program. A few of King’s career centered programs include healthcare, IT, and business. The curriculum is based on real-world situations and practices, preparing students to apply theories and knowledge when entering the work field. Lipscomb University’s online programs are made for nontraditional students. Through interactive learning, students will participate and interact just as if they were in a normal classroom setting. The university monitors itself for high-quality education, delivering the same type of instruction for online students. With over 100 online classes to be a part of, it is easy to find something you are interested in. Union University offers programs in an accelerated format allowing students to complete degrees within 18 months. Small class sizes allow students the opportunity get to know their professors and the expertise that they have. Students can pursue an online RN/BSN or a bachelor’s degree in organizational leadership or organizational management. Union University is ideal for students who want to pursue a Christian centered University, but do not have that option where they currently reside. Its virtual classroom tool makes online learning a more interactive and engaging way to learn digitally. Belmont University has created student-centered Christian environment. With eight online degree options, students can pursue an education from anywhere at any time. Belmont is focused on its students’ success and provides individual help through every step of the college process. Belmont works with prior learning experiences to help students receive the most transfer credits possible. Belmont creates a unique blend of liberal arts and professional education to its eager students. Milligan College has many popular online degrees for students who are busy working full-time. Milligan has a diverse student body of nearly 1,500 students from 35 different states. The college is nationally recognized for its quality and value of online and on-campus programs. Vanderbilt University is one of Tennessee’s most prestigious colleges, offering quality online degrees that guarantee promising careers. As a private research institute, Vanderbilt has a full range of undergraduate, graduate, and professional degrees. Vanderbilt has many opportunities for research and innovation that students can be a part of and gain experience and interest. Seminars, guest speakers, and more provide additional insight on subjects that are available to access online at any time. Chartered in 1930, Bryan College‘s biggest mission is to educate students to become more like Christ and make a difference in the world. It provides education based on the integration of bible teachings and Liberal Arts. Offering online degrees to busy students, Bryan College has a unique gift when you graduate: the possibility of a tuition-free graduate degree! The ranking process for this list was determined by tuition cost, graduation rates, number of academic programs, and other factors. We know that finding the best school to fit your unique needs is a huge challenge. For that reason, we work hard to develop lists of the best schools based on the characteristics most important for you. Whether that be cost of attendance, student success, resources available, flexibility of schedule, or any other number of important factors, we’ve got you covered. For more information about our ranking process and to find lists of schools based on specific characteristics, check out our methodology page. If your school wasn’t included on this list, but deserves consideration for a future, updated version, please contact us today!